Today, I’m proud to help announce the New Dorm Labs Angled Foregrip! 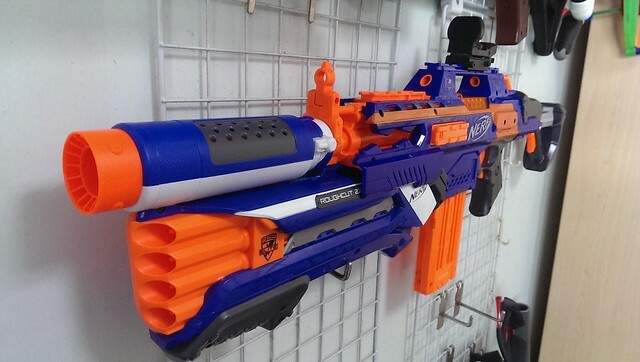 Dorm Labs is a USA based company that prints and sells 3D, fan made Nerf accessories. My usage of it in games and events that I’ve been to the past year has been able to help them refine this grip. Most people’s idea of a grip if a vertical, up and down attachment of some sort. But some people, myself included, have found that holding the vertical grip at an angle (instead of up and down) is more comfortable. To take advantage of this natural body chemistry for people, firearms companies have made grips that attach at an angle. The grip attaches with two tabs, while four screws are used to secure & clamp them down here the Nerf tactical rails. 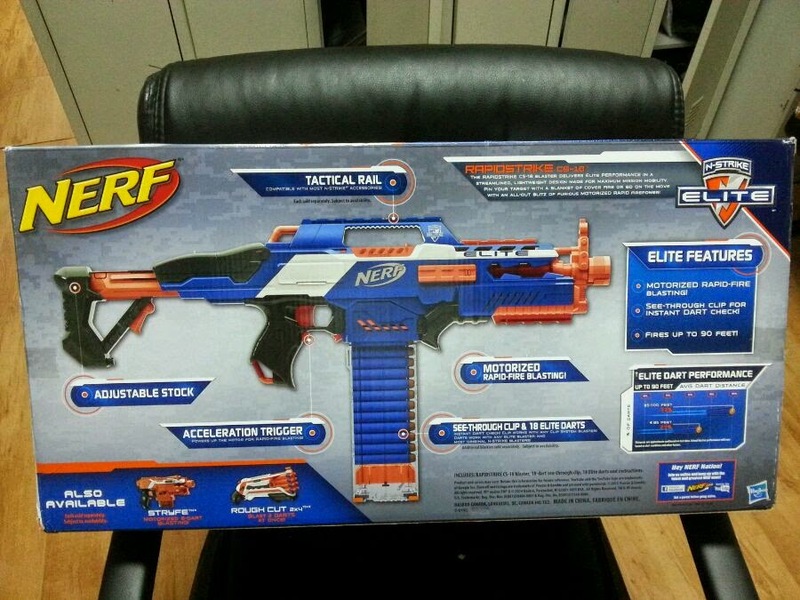 Due to it’s size, the grip will only work on the Rapidstrike, Retaliator barrel, or Longstrike barrel. A few others around the world have made their own versions, this is the first opportunity for USA players to access this style of grip. The grip is available for purchase for $14.99 on their site. However, with the exclusive coupon code “basicnerf”, you’ll get 20% off the total cost of the grip! Click here to view and buy it on the Dorm Labs site. To read my full review, and to see the video review version of the grip, please check out the rest of the post below. This is a sort of shoutout video thanking the people and their sites who made my latest Nerf War primary and product reviews possible. White Stripped Elite Rapidstrike CS-18 thanks to Mike at Tactical Tag. I won his giveaway for his White Strip Painted Elite Rapidstrike CS-18. The Sights are thanks to SlyDev. It’s their front and back sight, and I hope to have a review of those items in the future. The Vertical Grip was thanks to Dorm Labs. It’s retractable, so you can use it as a grip, or put it back up when it’s not in use. I also end the video by seeing if can shut the blaster down running it at 16.8v (4 Trustfires) and going through 3 18 dart mags. Remember that Rapid Reload Pack spotted on Baidu months ago? The one that featured an extra clear mag and 18 extra Elite Darts? Well a few days ago I headed to Walmart and spotted it on shelves. Again, I spotted this in a Southern California Walmart. This Rapidstrike CS-18 features a white stripe fan paintjob. 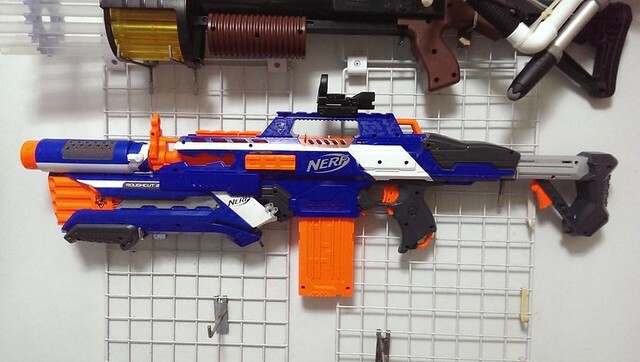 Singapore Nerf Fan Chia Wee Beng took it upon himself to make the cleanest Rapidstrike/Masterkey combination I’ve seen yet. It also features the new Elite Spectre barrel and a nice looking Red Dot Sight of sorts on the top rail. To accommodate the Rough Cut, it looks like he’s removed the battery tray up front entirely. Doing this has allowed him to lessen the blaster size, versus attaching it to a front barrel. You can check out two more, slightly earlier photos of this blaster below. 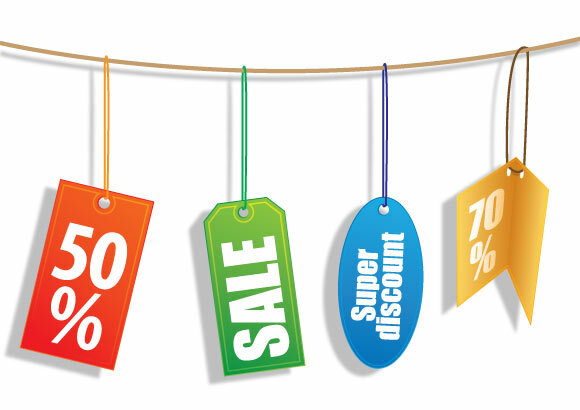 It’s been awhile, but I’ve finally got around to updating the Sales & Deals section of my blog. I’ve only got deals up for Amazon & Walmart up at the moment, but the big deal for both those stores is the Elite Rapidstrike CS-18 being sold for $29.88. Both of the sites offer some form of free shipping, and I HIGHLY recommend you getting this blaster if you don’t have it already. 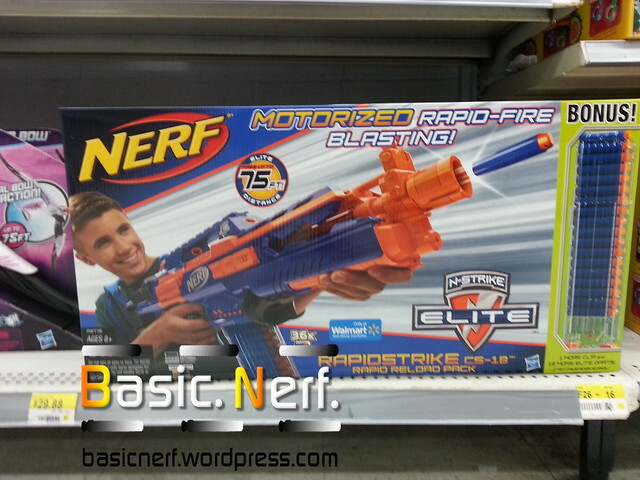 On the Walmart site, there’s a few listings on Rebelle and Elite items as well.